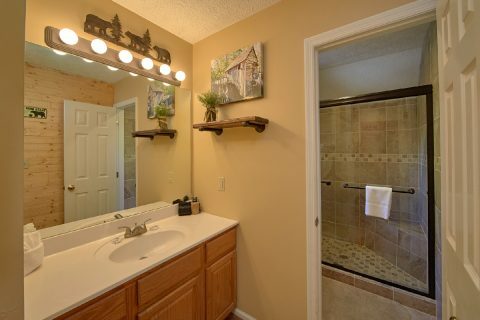 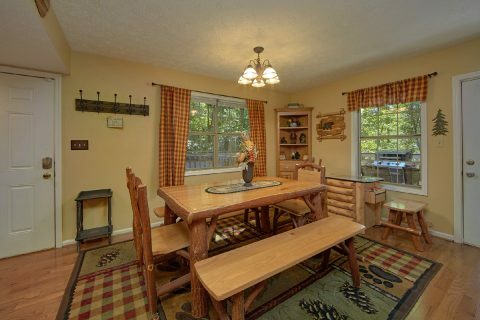 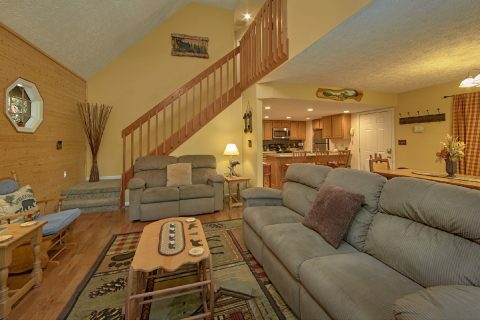 Discover "Happy Trails," a 4 bedroom cabin close to Pigeon Forge in Brookstone Village Resort. 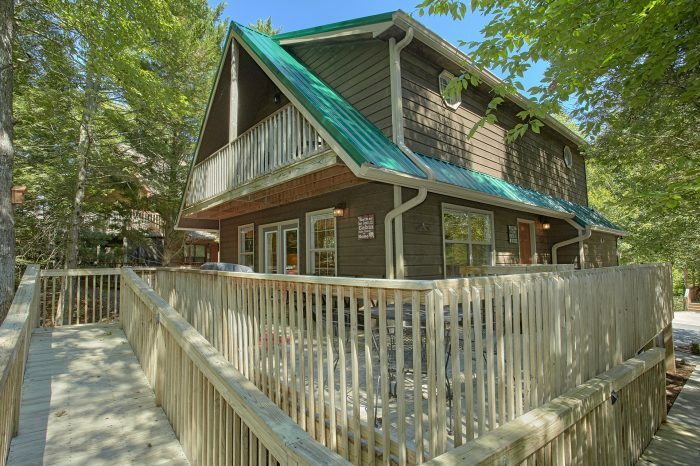 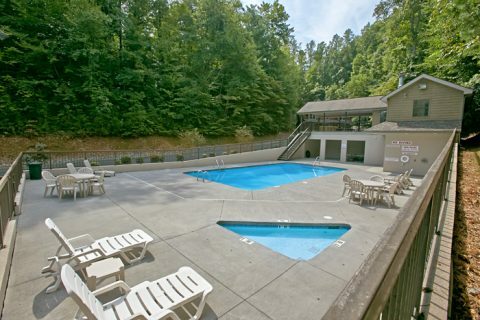 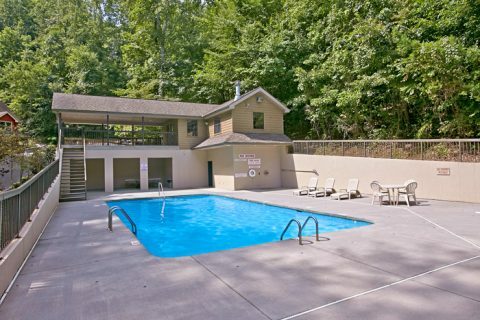 This lovely resort cabin in the Smoky Mountains comes complete with pool access. With room for 8 guests, this cabin is ideal for families or small groups. 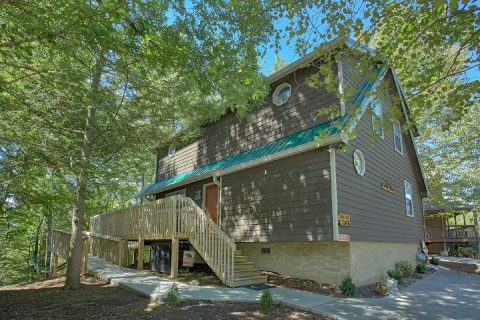 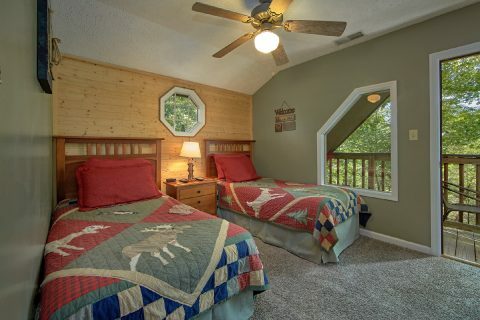 Vacationers at this cabin will love having convenient access to great area attractions along the Pigeon Forge parkway. 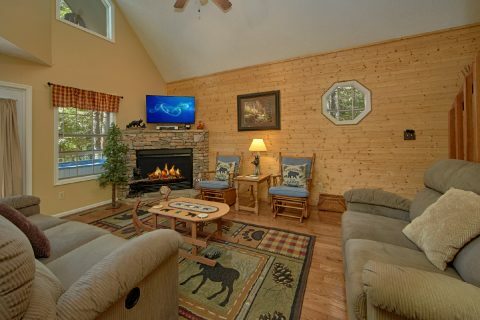 There are more than a few ways to kick back in this comfortable cabin in the Smokies. 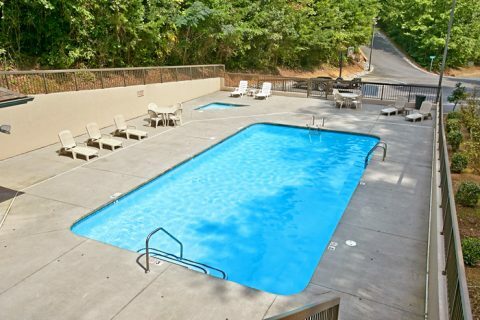 During the warm summer months, take a stroll down to the seasonal resort pool to splash in the water or just soak up the sun. 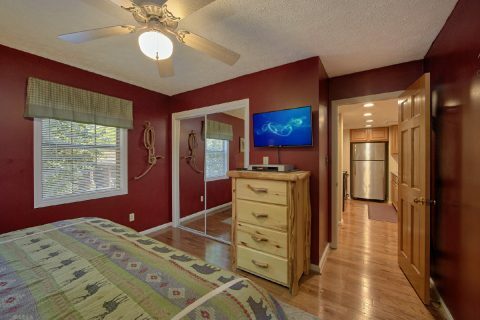 Wireless Internet access is available in this rental so you can stream movies, television shows, and music whenever you wish. 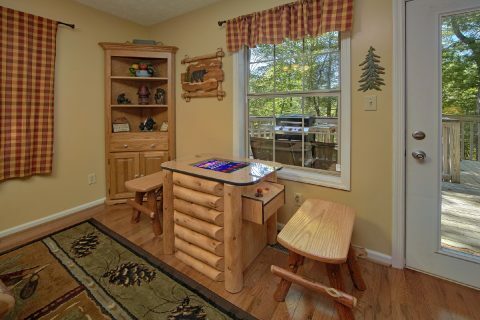 Play classic arcade games on your cabin's multi-game arcade game in the living room. 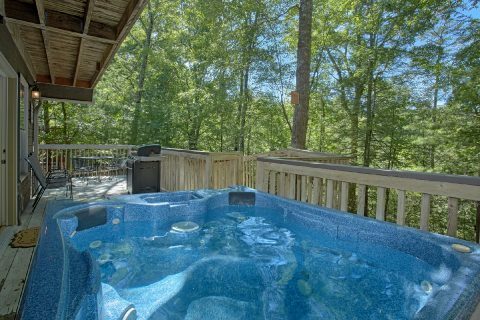 Sit outside on the porch to enjoy your cabin's beautiful resort setting or sink into your cabin's soothing hot tub in the fresh mountain air. 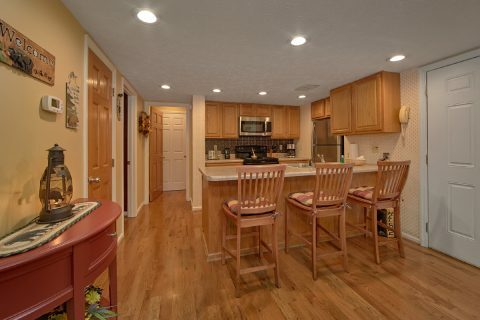 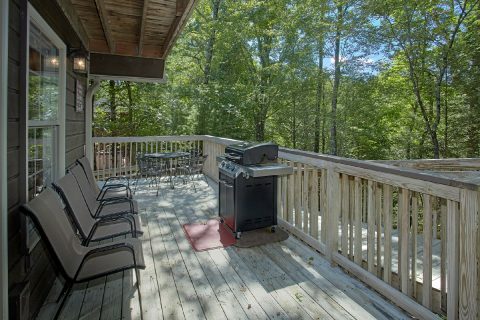 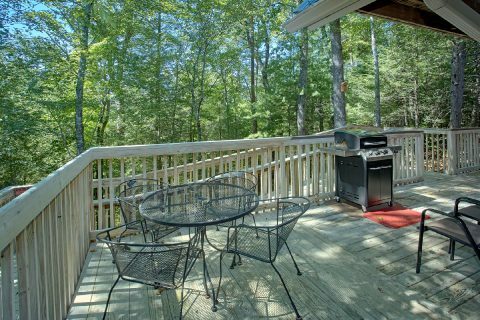 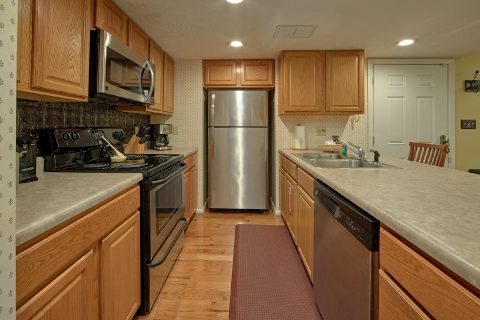 Your cabin rental's kitchen provides your group the option to save money by eating a tasty meal in your rental and a gas grill on the deck is great for enjoying a cookout in the Smokies. 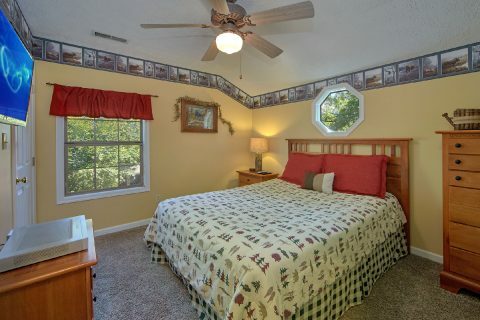 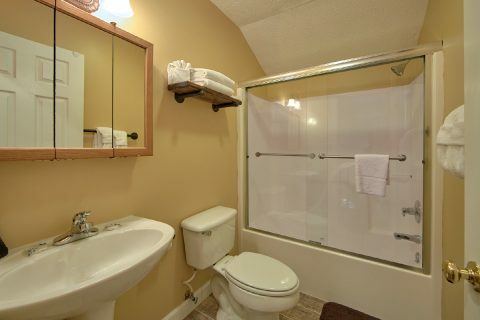 On the main level, you'll find a king-size bedroom along with a large bathroom. 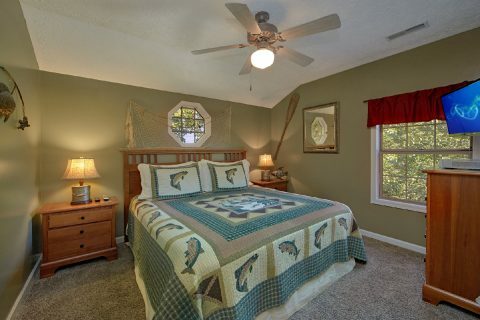 There are 3 bedrooms upstairs that offer a king bed, a queen bed, and the 3rd room comes with 2 twin beds. 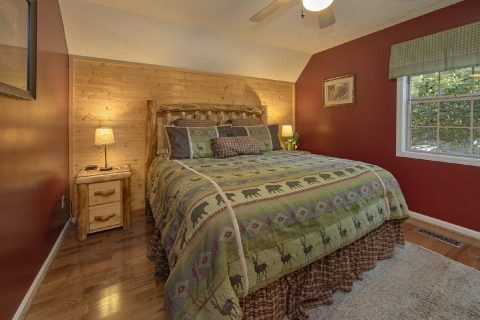 Every bedroom of this comfortable log cabin comes with a private television for relaxing in the evening. 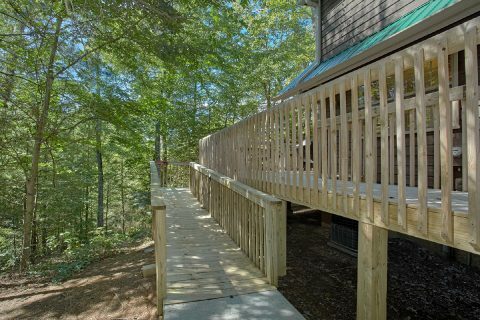 Book "Happy Trails" with Cabins USA Gatlinburg and save with our cabin 15% discount. 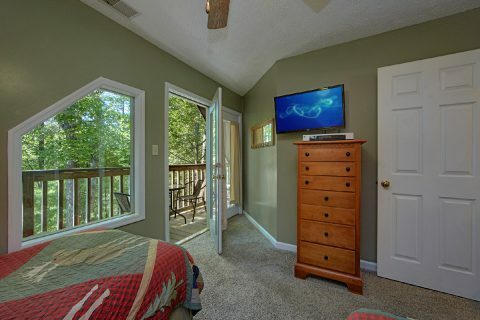 With a great location close to Pigeon Forge and Dollywood, this cabin rental in the Smoky Mountains is perfect for your family vacation.